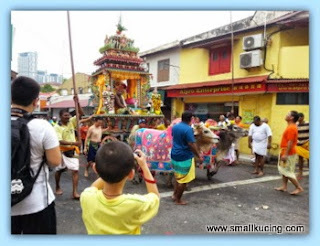 As we were heading to Jonkers Walk after breakfast at Baba Low, I saw something peculiar.Peculiar coz in my short life I have not seen it before la. A man a rod sticking out from his cheek. Oh... looks like it's a Wesak Day procession. No wonder traffic was crawling here. When we neared Jonkers Walk. Traffic was at a stand still. Mamarazzi said let's go down and see what's up in from and me said YES!!! 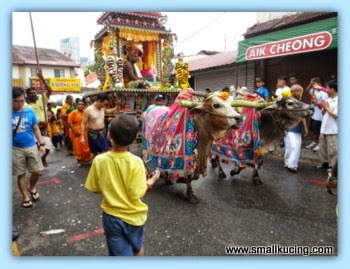 Oh...near the Aik Cheong Coffee shop there was some kind of ceremony. 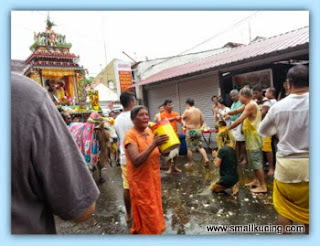 Followers kneed down to have yellow color water pour over them. Must be some kind of cleansing ceremony. I was standing near to snap clearer photos. A follower thought I wanted to go for the ceremony too coz my T-shirt was yellow. He urge me to go nearer but Mamarazzi pulled me back. Last few snap before the procession move on. Snapped a few awesome pics. 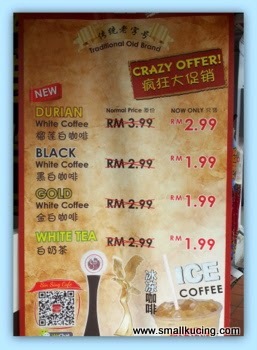 Ahem...anyone game for a DURIAN white coffee? 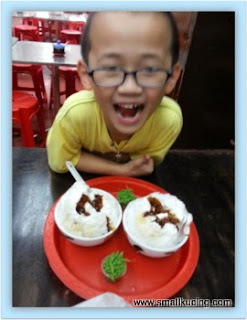 But for me...I preferred nice nice cold cendol from Bibik House la. Here is what Mamarazzi managed to grab in a short time. Simply hentam Pineapple tarts that looks nice to her. Kiasu.....saw many people buying Heong Peang and gula Melaka from a shop she also went and grabbed. ... hope u wished ur mumme a very happy Mother's Day today, lil kitten??? Love, cat. My better half got me the durian coffee last time! Different place though, we were in Penang. Haha. hahaha you nuts about durian too? 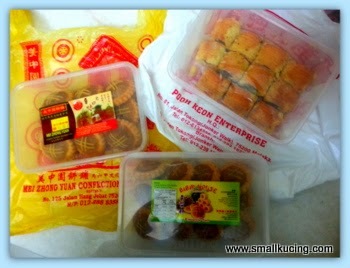 I want that pineapple tarts. Hehe. it's nice to walk around Jonker's walk. 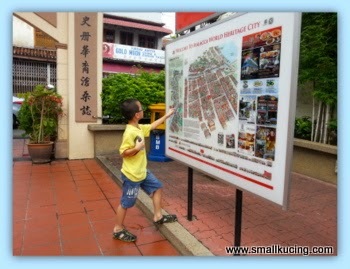 Many things to see. I'm attracted to the cendol in the picture !! I can never have enough of that !! 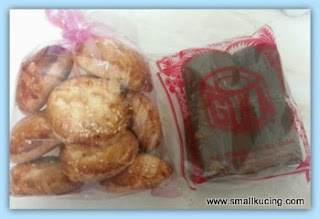 Love it.. Fuiyoh, sapu so many stuffs from Jonker Street eh.. For me, I guess I will sapu pineapple tarts and wifey biscuits.. But heong peang also nice wor.. Yummzzz..
hahaha...when we were in melaka...daily eat condol. 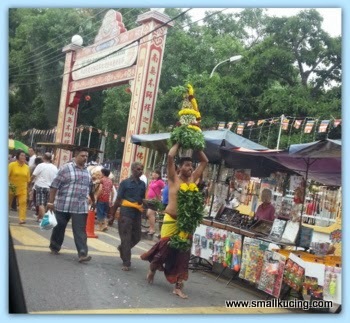 oh Uncle SK thought the devotees only carry kavadi on Thaipusam, now Wesak Day also they have such procession.. must be an eye-opener lah, some more can get close to see the event and took photos leh..
ya wor..not those brown sugar syrup. Got taste of the gula melaka. That is a question hard for Mamarazzi to explain coz she also dunno much about it. 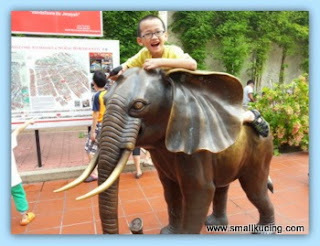 Seems that the white coffee originated from Ipoh during the time when there were many hainanese immigrants from China came here. They did not like the western coffe which is too bitter for their palatte so they invented this White coffee. It's a mixture of several types of coffee beans. The pineapple tarts are nice. 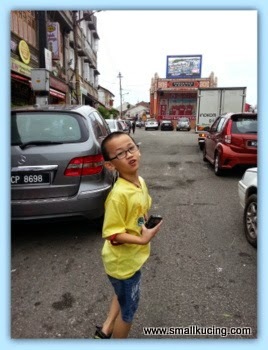 I tried when I was Jonker Walk. Once I brought kopi durian 3in1. The smell is so intense. (musang king kopi) LOL!! I've never seen GOLD white coffee b4!!! 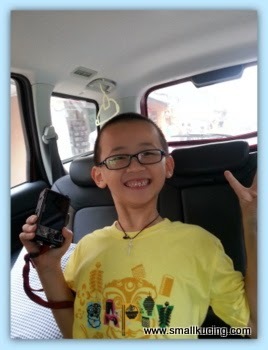 Enjoyed your post today! Never heard of WHITE Coffee.... Interesting.. BUT--the pineapple tarts sound YUMMY. Wonder what the mystery behind the multi coloured white coffee is?!! Oh, Wesak Day also they do piercing. 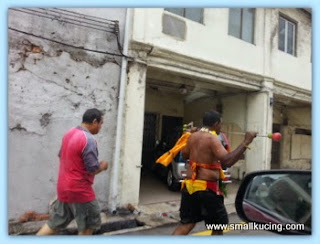 At first I thought it was Thaipussam. I wonder how the durian coffee taste like. Cannot imagine durian and coffee campur together. First time see devotees piercing on Wesak Day! I wonder how the coffee + durian taste like. I love durian and coffee but mixing them is another thing. Luckily nobody catch and skewer you... :p Cendol in Melaka almost all nice! 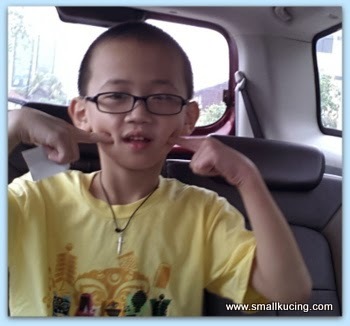 Got the thick gula melaka one.